- Safe search: When turned on, most of the adult contents will be filtered (it's not 100% but it works in most cases). This setting is turned on by default. - Re-enable Muzei on Android 8: Silax 1.1.8 targeted to the latest version of Android but it disables the Muzei Live Wallpaper support on Android 8 also (It comes from Muzei side). 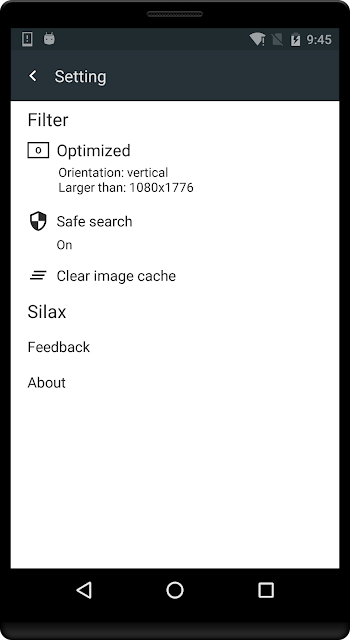 Silax 1.1.9 reenable this feature by a target to the Android 7 (the same as the Silax 1.1.7).